They may have dropped the word "Family" from the brewery name but it seems Dan Dainton's relos still play a role in influencing many of the beers. In this case, it's childhood memories of hand-delivering chocolate ice cream with raspberry to his dad in the bath. Thankfully, the recreation of this cherished memory is kept to what was in the bowl. The beer version is stickier and fuller than ice cream and delivers on the flavour and aroma front. 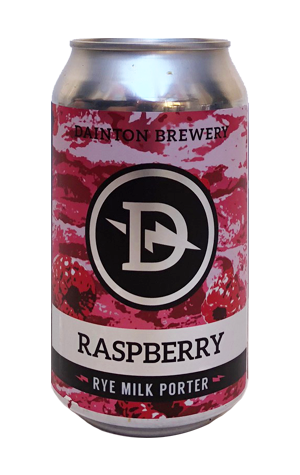 Imagine melting some raspberry liquorice into a sweet, chocolate porter like the Terminator meeting a calorific rather than molten metal denouement at the end of the 1984 classic and you've got it.